Bulgaria's much anticipated fighter jets purchase will likely come to a disappointing end as the Bulgarian Defense Ministry has decided to buy expensive third-hand F-16s from Portugal, according to the Bulgarian press. Bulgaria's government is thus expected to pay BGN 700 M for nine F-16s Block 15 to Portugal even though in 1999 Portugal paid twice less – BGN 268 M – to the US government for 25 second-hand F-16 planes, the Bulgarian daily Sega reported Thursday. 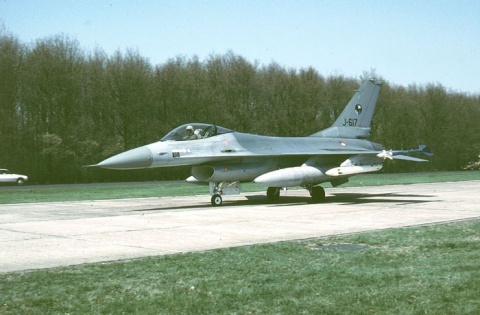 The Bulgarian Air Force is thus expected to get "third-hand" planes for a much higher price, the daily concludes, noting that the board numbers of the second-hand Portuguese F-16s were published at http://f-16.net, and the 9 planes destined for Bulgaria are from among the 25 planes that Portugal bought from the USA 13 years ago. Shortly before New Year's Gen. Rumen Radev who is in charge of the working group of the Bulgarian Defense Ministry for the purchase of the jet fighters for the Bulgarian Air Force noted that the offers covering Bulgaria's requirements for the deal include new planes from Swedish producer Gripen, second-hand Eurofighters from Italy, and second-hand F-16s from Portugal. Radev told the Presa daily that the Portuguese deal was the best option because it included everything necessary for the operation of the planes, while Gripen and Italy offered only the planes without arms and will only the most basic land equipment for their operation. According to Radev, even though the second-hand fighter jets from Portugal are already 30-years-old, they can be used for 25 more years. Bulgarian Defense Minister Anyu Angelov defended recently the Portuguese offer by saying that the MiG-29s of the Bulgarian Air Force were bought as second-hand planes in the 1980s, and that since planes are supposed to be modernized every 1-3 years, "it's not important when the plane was made but how much life it has." According to Angelov, his working group will results from its negotiations with potential providers, and will report to the government by March 1, 2013, in the purchase which will be made without a tender, a decision of the Cabinet made precisely because it wanted to study second-hand purchase options. According to the minutes from the meeting of the Bulgarian government on December 19, 2012, Bulgarian Prime Minister Boyko Borisov stated that the Cabinet was only allowing the Defense Ministry to hold the talks for the purchase but it was not allocating the money or setting a deadline for the deal to be made. Borisov noted that the next government, after Bulgaria's upcoming elections in the summer of 2013, will make the decision on which offer to accept. The Bulgarian press points out that if the Borisov Cabinet makes a decision to buy the planes but no purchase gets made, this could mean a repeat of Romania's situation when in 2010 the defense authorities in Bucharest decided to buy second-hand F-16s from the USA but the lack of funds terminated the purchase. Subsequently, Romania's current Defense Minister said in September 2012 that Romania will buy 12 second-hand F-16s from Portugal for USD 600 M without a tender. According to the Sega daily, some of the 12 planes that Portugal has offered to Romania, have also been offered to Bulgaria, which is why the Bulgarian Defense Ministry is in a hurry to complete the deal. According to cited sources from Bulgaria's Defense Ministry, back in 2009 the Portuguese Air Force offered on sale F-16s with the following board numbers: 15125, 15126, 15127, 15139, 15128, 15129, 15130, 15137, 15131 and 15138. The Bulgarian Defense Ministry has asked for 6-7 one-seat fighter jets, and 2 two-seat fighter jets. The planes in question are among the 25 F-16s Block 15 delivered to Portugal by the USA in 1999 under the Peace Atlantis II Program. Before that, they had been used by the US Air Force since 1984, and were used for 10 years, after that they were stored in the US air base Hill. After they were bought by Portugal, the planes were modernized under the MLU (Mid-Life Update) standard.